This page contains a great deal of IELTS reviews and learning experiances periodically recorded by the Camford students who have scored 7 and above in their IELTS exams held at different British Council and IDP exam centers across India . A highly recommended destination for ielts preparation in Trivandrum. I have secured an overall score 8 (L8.5 R8 W7.5 S7). I sincerely express my gratitude to Mr.Netto , the man behind the scene and success in its entirety. Netto sir, as we fondly call him, is a very approachable and remarkably capable person in English training. He is conspicuously aware of the content, schemas and styles required to crack the examination. If you impress him, consider you have aced the exam. He has a unique capability in identifying the deficiencies in each of his students and train them accordingly. Dear friends, nothing comes easy in life, a little sweat and focus can paint colourful magic in the thin blue sky and Netto sir makes sure you do it. Thank you Camford and team (manager- Ms.Aarya), I dedicate this success to you guys. A gave my ielts exam on 25th and my result is out. I am glad to receice the ielts score card with Writing 7 , Speaking 7,.Reading 7 & Listening 7.5. Its a result of strategies and methods from Camford Academy. Its a great experience learning with various strategies separately applicable for each listening, reading,writing and speaking. I have no words to express my gratitude to Mr.Netto sir who have put their immense effort in diving each candidate individual attention. My IELTS SCORE Listening -8, Reading - 7.5, Writing - 7 and Speaking - 7.5. This score is a kind of dream come true. I am very happy to be a part of Camford academy. The coaching and guidance I received from this institute was really effective. Many thanks to Netto sir for motivating and encouraging me to make my IELTS coaching really easy. The corrections and suggestions I received from sir were really helpful in achieving an excellent score of overall 7.5. Thank you sir specially for improving my writing skill. I wish all the very best to Camford academy. Hi it makes me immensely happy to write my IELTS learning experience at camford academy. I wrote my IELTS exam on March 19 and I scored 8 in my IELTS exam. My reading score was - 8 , listening -9, writing - 7 and speaking - 7. The training in Camford Academy was very helpful and the tips given by Netto Sir helped me a lot to improve my English skills. The essay tips and range of vocabulary by Netto sir are tremendous in terms the exam. The overall 7.5 in my ielts examination is a shocker as I have never expected to reach there. Writing tips from Netto sir are revelation and speaking modules are no exception. Thanks a lot Cranford and Netto sir. The time and money spent for the coaching at camford worth a lot. I scored 8. 0 in my IELTS exam with individual score Reading - 8. 5, Listening - 8. 5, Writing - 7 and Speaking - 8. The class for ielts coaching at camford made me attain these wonderful scores. The brilliant coaching offered at Camford makes it possible for any person to attain an 8 in the exam. Decades of experience about the IELTS examinations makes Camford stand out in the industry. Thanks once again Camford and Netto sir for helping me in achieving my scores. First of all I thank GOD for helping me to choose one of the finest IELTS coaching centres, the Camford Academy and feeling proud for being the student who trained under a well qualified and talented Master, Mr. Netto, our Netto sir, the Hon.Director of the Centre. This is the main reason why I scored Band 7.5 (Academic) in my IELTS Examination. The different sessions namely debate, moc test, skills for improving writing and all other training classes really helped me during the examination. One of the key aspect I have noticed was the individual attention given to the students in all the modules which make this academy unique from other centres . I would like to thank Netto sir, all the teachers for their guidance and support throughout my course. I wish all the students in Camford academy a great success in their examination and, I am glad to recommend Camford Academy for any one who wishes to score good band (especially 7 and above) in IELTS Examination. Hi, my ielts score 8.5 is really the most satisfactory score that i can ever dream of. My individual scores Speaking : 8.5, Reading : 9, Listening : 8.5 and Writing : 7.5. I must thank a great deal Mr.Netto for having coached me to score this stupendous score. The reading tips and essay writing techniques of camford are what made me to reach this level. Camford is a sureshot for ielts success. Hi everyone. I just attended a few classes in Camford Academy. But thanks to the wonderful essays and speaking modules of Netto Sir. I got an overall score of 7.5 which is a miracle. And my individual scores are Listening -8.5, Speaking - 7.5, Writing - 7 and Reading - 7.5. I scored 7 in my writing, Speaking 7,Reading 7 and listening 7.5 with an overall score 7. This score would not be realized without the help of Nett sir and Camford. The immaculate essays and speaking models given by netto sir helped me write my units exam with British Council impeccably. I've acquired a score of 7.5! Reading -7.5, Writing - 7.5, Listening - 7.5 and Speaking -8. I owe a lot to camford and Nett Sir for this stupendous score as it has made my dream come true because I need this much score to apply for overseas scholarship and continue my higher education either in Ireland or in Canada. The strategies of each module applied by camford has helped me a lot in it. It's a refreshing Ielts learning experience that is enough to rise my score to 7.5 in my exam – Writing 7, Speaking 7.5, Reading 7 & Listening 7.5. My ielts result of 7. 0 band score in my ielts exam is a credit i owe to Netto Sir and Camford Academy. He has trained me in such a way that the exam looked easier than what i expected. Reading strategies and writing especially looked more useful in terms my ielts exam. The essays written by Netto sir helped me to crack the exam easily. Thanks alot camford and netto sir. I wrote my ielts test and could score 7 in my first attempt itself. It became possible through camford academy and I specially thank Netto sir for his support and guidance. I received my ielts result yesterday with an over all bamd score of 7.5. Reading - 7.5, listening - 8, Writing - 7 and Speaking - 7. I am happy to say that i had a wonderful experience in Camford Academy. The training provided was top class and very much helped and motivated me to attain my goals much more easier. Camford played a major part in redefining my confidence level which in turn supported me to reach my target scores really well. I am a student of Camford academy. I must say,it is the most systematical IELTS coaching centre.In my very first attempt,I got a band score of 7. The credit goes to Camford academy as they have provided me a lot of materials for reading sessions and especially the classes for speaking session was the most useful one for me. It helped me very well to get through the exam. thanks to Camford academy once again. Camford is obviously the master of IELTS coaching. I convey my hearty gratitude towards Camford academy.I'm very thankful because the training that I recieved here have helped me to lay the first step towards my sucess. Special thanks to our teacher Mr. Netto C who with his valuable classes enlightened my path towards IELTS. Today I'm glad to say that I scored an overall of 7.5 with the individual score being 7 for writing and speaking , 8 for reading and 8.5 for listening. Hai ,how about scoring 7.5 in IELTS exam? Eventhough it was my dream, now it is no longer a dream for me because I have achieved it now with the help of Netto sir, Camford Academy. First of all I would like to thank netto sir for his amazing work. I was struggling to pass my IELTS ,I joined Camford Academy and now I am happy to say that I have scored an overall 7.5 band score in my ielts exam with listening -8.5, reading -8, speaking -7, writing -7. It is not only the training and the tips that Netto Sir has given , but also his pragmatic approach and constant encouragement helped me to achieve this. This approach has definitely helped me to gain confidence and to face exam without stress. Definitely, Camford is a store house of ideas meant for ielts exam. Netto Sir gives importance to individual skills and helps tremendously in personality development by means of group discussions and debates . Netto sir was able to identify my weaker areas especially writing and speaking and concentrated more for developing these areas which really helped me to excel in examination. I wrote IELTS exam on 18th February 2016 and achieved an overall score of 7.5 (Listening - 8, Reading -7, Speaking -7, Writing -7).It is my privilege to express my sincere thanks to Netto sir who helped me to achieve good score in IELTS exam. Netto sir's classes were excellent in increasing my confidence level. The tips and suggestions Sir shared with us were quite efficient to attain good score. Sir paid attention to each and every student to achieve good result. Thank you a lot Sir! Hi everyone, I am really thankful to the entire team at Camford academy along with Netto sir for helping me achieve a 8 band score in the IELTS examination conducted by the British council on 30 th January, 2016. I achieved a score of 8.5 each in listening and reading, 7.5 in speaking and 7 in writing. I really appreciate the classes at camford. I should say that Netto Sir has tips to tackle each kind of question especially in reading as well as listening.The online essays published by sir will give us an idea about the way each type of essay has to be written. The mock speaking test conducted at the class adds ones confidence. The mock test conducted each day at the center helped me to keep up the time. Thank you Camford academy and Netto sir. This is an incredible achievement that camford has facilitated because I got 8band score in my ielts examination, with reading-8, listening-8.5,writing-7,speaking-7.5 in my ielts examination held on 19 December 2015. I am grateful to Netto Sir alone for this. He helped me a lot in improving my speaking and writing skills...His style of teaching and his friendly approach makes sure that you don't find a need to bunk classes. You will definitly enjoy the classes.The mock exams that I attended did help me a lot in time management which many find tough in ielts exam. Hence I would recommend camford to everyone...its worth it. Getting an awesome IELTS score was my dream. Camford Academy helped me tackle all the obstacles and I got a band score of overall 7." Talking about the institution , Netto sir is very helpful , caring and also gives us many tips and tricks to get a huge score. I also got to meet some quality friends whom motivated me and helped me improve my language. Camford taught me that "The secret to get a high band is through Practise ". You're The Best Camford. I'm Humbled and grateful to Mr.Netto Sir for making my wish come true. Exam Date : Dec 5th 2015. When I started dreaming a good IELTS score, it is needless to say that I was in need of a “Shot in the arm” with regard to my English language skills.Luckly I found it in Camford Academy during my 2 months coaching. The Institute handed me a refreshing sense of confidence. There are adequate test materials to keep trying till one can feel comfortable their score .Since the sample test materials are calibrate to real test standard, The margin of gap between mock scores and real scores is very minimum. The format of IELTS exam was explained and common pit falls were demonstrated. The daily debate session provide a platform for public speaking, helping one to come out of his shyness and stage fear. I would say, on the whole it was a fruitful experience in pursuit towards a good IELTS Score. My ielts score : 7.5 overall with every modules 7 and above. Camford Academy’s ielts coaching has prepared me to crack my ielts exam confidently so that I scored 7.5 in my ielts exam held on 8th October, 2015 at Trivandrum. My perfect score listening 8.5 is an standing out achievement that clearly showcases the methodology of Camford. At the beginning of the coaching, I knew I was little confident about my language but the classes I received from Camford proved to be tremendous and Mr.Netto my ielts trainer gave me immense support. I believe the very same has facilitated me to overcome my exam fear. It is one of my proud moments to receive the score card with 7.5 from Netto is cherishing moment in life. Maneesh Mohanachandran Nair, MS Bhavan, Koithoorkonam, Pothencode, Trivandrum-695584, Kerala. It was a good experience at Camford because of the easy handling of the four modules like reading, writing, listening and speaking daily. My prowess in enlgish language has been enhanced enormously by the sections conducted by Netto sir. His guidelines have helped me a lot in cracking my ielts exam and building up my confidence.I am so glad that I have scored 7 band in my ielts exam held on October 31, 2015 at Trivandrum. I managed to score this respectable band only after a couple of weeks classes at Camford Academy. Thanks a ton Netto Sir and Camford Academy. My two months ielts training class at Camford Academy proved to be a success as I scored 7 in my ielts exam held on 8th October 2015 at Trivandrum. My individual scores are Writing – 7.5, Speaking – 7, Reading – 7 & Listening – 7. The 2 months training at Camford Academy put me in a position to face the IELTS confidently. I did not do any preparation at home and only the classroom sessions helped me immensely. It is with no doubt that I can say the writing sessions and its feedback helped me a lot to improve my writing skills and definitely will give one an upperhand over others. Above all, it is most important to attend all the classes at Camford. Thank you once again, dear Netto Sir. 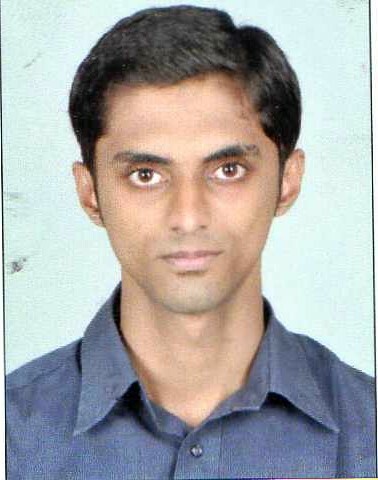 Hi readers, this is Vivek Vijayendra Kurup from ‘Greeshmam’, Town Ward, Adoor, Pathanamthitta, Kerala. I took two months IELTS coaching from Camford Academy. I have scored overall 7.5 (Writing -7.5, Reading – 7.5, Listening – 9) in my IELTS exam held at Trivandrum on 08 oct, 2015. Before joining Camford, I was told by many that IELTS is all about mugging up readymade words, phrases and sentences to deceive the examiners. They all preached about different incomprehensible itineraries to follow for cracking the exam. However, from the first class itself, I could find myself that it’s a wrong perception, as here Netto sir isn’t upholding any stringent rules. In contrast, by his impressive way of teaching, he is inspiring the students to develop their own ideas and style, giving them absolute freedom to think and speak on. And without having a single study material or printed note, I could find here a lot of students, at each batch, getting a band score of 7 and above. I think this system of teaching is unique to Camford Academy. Here, speaking practices are conducted in tough ambiences so that we’ll feel more relaxed in actual examination room. Moreover, the way daily debate sessions are organized, improve not only our language skills; but help us to get rid of our stage fear, as well. Writing practices, being integral part of such debate sessions, also help us a lot in our exams. Due to these, the accruing benefits are far from merely taking IELTS test; rather we’ll feel much confident to speak in front of the public and also to write on a topic instantly. For reading and listening too, we’ll get regular practice tests, at different difficulty levels, which bring about steady improvements in our performance over time. Overall, it was a great experience and I’m so much proud to be a ‘Camfordian’! Thanks a lot Camford Academy and Netto Sir, in particular. Hi Its Amal J Chenattussery from Peroorkada, Trivandrum, Kerala. Its my pleasure to share my ielts training experience that I had at Camford Academy. 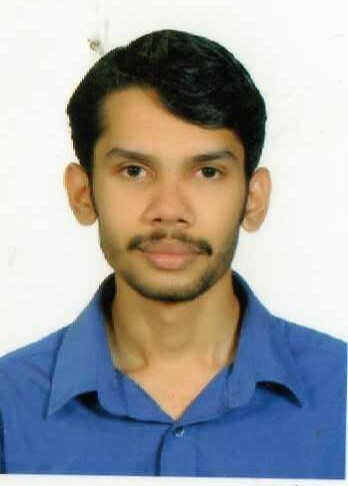 I took my ielts exam held at Trivandrum on August 8, 2015 and I scored a remarkable band score of 8 in my ielts exam with individual scores Reading – 8.5, Listening – 8.5, Speaking – 8 and Writing - 7.5. Overall band score is 8.0. After searching much on google, I find Camford Academy with many positive reviews. So, I joined for the ielts training at Camford. I found that the classes were very extremely useful and my tutor Mr.Netto’s teaching methods were easy to understand and to the point. The pleasant atmosphere in the class room and friends were an added bonus. Finally all these factors have helped me in scoring 8.0 band in my ielts academic exam. Thanks Camford and Netto. Hi readers, my name is Ms.Shalu Varghese from Kozhikodu (Calicut) Kerala. I have taken two months ielts coaching at Camford Trivandrum and it has helped me to score band 7 in my ielts examination held at Kochi, Kerala. A few words to talk about the coaching at Camford would be too insufficient. However, the ielts training at Camford is adge if you want to score high in your ielts exam. I would have struggled in ielts exam if i had not taken the ielts class at Camford. I must thank Mr.Netto as he has put in all his effort to finetune my impurities in my language. Without his classes, i would not have attained the dream score of 7. Hi everybody, I am happy to post my review of my ielts training experience at Camford academy. I wrote my ielts exam on 25/07/2015 at trivandrum after taking two months ielts coaching from camford and i scored an average band score of 8.5 with individual scores READING - 8.5, LISTENING - 9, WRITING - 7.5 & SPEAKING - 8. I must thank all those who helped me achieve this score. Netto sir is always encouraging and has a lot of useful strategies and tips to crack the exam with ease. I must also give due credit to each and every one of my fellow pupils, as I feel that my interaction with them helped me improve my communication skills and develop ideas spontaneously. The numerous mock sessions done during the last 2 weeks helped to improve upon my reading and writing skills, identify my weaknesses and work on them. I felt that my money was well spent as the training undertaken helped me pass this exam with an awesome score of 8.5 overall Thanks Netto sir and Camford Acamemy once again. I am forever indebted to you ! Hi I am Grace Ben Jacob from Sreekaryam, Trivandrum, Kerala. I have taken two months ielts coaching at camford academy and i have bagged overall 7.5 in my ielts exam held on 25th July, 2015 at trivandrum with my individual scores as READING - 8, LISTENING - 7, WRITING - 7 & SPEAKING - 8. The classes were extremely beneficial as it enables one to excel in all the modules. The mode of learning is unique as it involves improving skills through various activities. I special credits to my tutor Mr. Netto and to the institution in polishing my language skills. 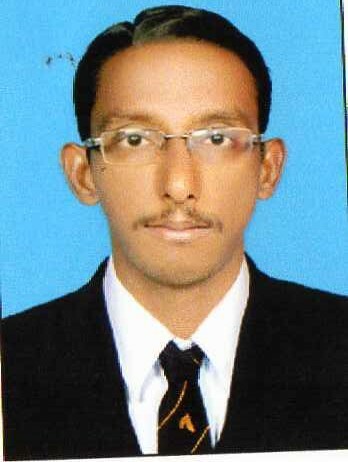 HI, my name is Jimmy Thavattackal John from Variyapuram, Pathanamthitta, Kerala. I wrote my ielts examination on 27/06/2015 and I scored a band of 7.5 with individual scoring Listening – 7, Reading – 7.5, Writing – 7 and Speaking – 8. The two weeks crash course at Camford Academy helped me crack my ielts exam successfully. I must thank Mr.Netto for his realistic approach that is a cutting edge for any ielts takers for sure. I would highly recommend Camford as a sure bet for ielts preparation. 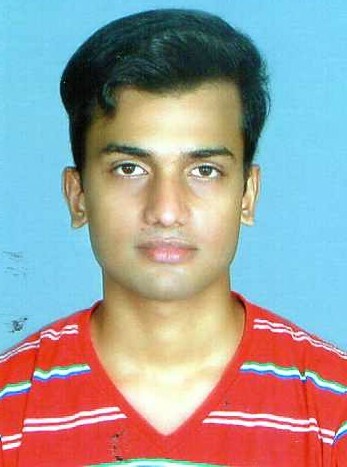 Hello, I am Arun C.D. from Attingal, Trivandrum. I am an Electrical Engineer, presently working with IBS Software as Facilities Engineer. My decision to join Camford Academy was the wisest one in my life. The professional training which Camford had provided to me helped me in securing an overall score of 7.5 (Listening -8, Reading – 7, Writing – 7 and Speaking – 7). I strongly recommend Camford for all IELTS and other English related courses students. Once you join Camford, half of the things are done; rest is your aggressiveness to follow Mr. Netto sir’s and team’s instructions. I wish all the very best to Camford for providing me such an awesome training. Though my training period was very less (about 30 days), it is Camford’s intense and well depth training only made me score 7.5. I am Sruthy Sudin from Attingalm, Trivandrum, Kerala. I joined Camford Academy in April and acquired coaching for IELTS for two months. I tumbled upon Camford Academy after doing an extensive search on Internet and my friends also suggested me this institute. I found the classes informative and inspiring and I strongly believe that the coaching at Camford Academy helped me to secure remarkable score for my IELTS examination. I have scored overall 7.5 and individual bands 8.5 for listening,7.5 for reading, 7 for writing and 7.5 for speaking. Camford Academy is definitely a cutting edge for ielts aspirants and I positively recommend Camford for ielts training in Kerala. I am Anusree. P, from Sulya, Karnataka. I joined Camford Academy two months ago to brush up my language and develop it to an advanced level. To talk about this institution, this is one of the best institutions one could ever find with an eminent teacher, Mr. Netto, who has dedicated his life to spread knowledge to others. I must admit that I have developed a lot and have changed the perception with which I view the language. The classes are never boring as Netto sir uses the perfect formula of teaching which combines humor with knowledge. He perfectly stands up to his goal whatever be the matter. He is an epitome of the great saying that a teacher is like a candle which melts itself to spread brightness. I would recommend Camford Academy to everyone who are looking forward to be an expert in this language. I am Arya. S. I am from Plamood, Trivandrum. I joined Camford Academy to improve my English language. It was a two months’ course. After doing my plus two, I joined this course. It was a best experience in my life. I really enjoyed the grammar classes. I didn’t feel that it as a serious class because Netto sir taught us in a very simple as well as interesting manner. So, I was really interested in that class. I also liked his way of teaching. I was a shy person. Camford Academy’s classes played an important role in avoiding my fear and shyness. This course helped me a lot to improve my speaking and writing skills and making good friendship with all. This class helped me to really improve my grammar, which I believe to help in my future studies. I really enjoyed the classes and will never forget the time I spent in Camford, because it made a totally new person. The training that I got from Camford equipped me to secure an overall of 7.5 in IELTS. My trainer, Mr. Netto, helped me a lot to gain the ample confidence required to crack the IELTS. I scored 8.5 in listening, 8 in reading and 7 each in both writing and speaking. I extend my sincere gratitude to Mr. Netto as well as the other faculties at the Camford Academy. Want to crack IELTS? Not confident enough that you can do it? Fret no more. At Camford you have the perfect place to get past the hurdle as if it was a cake walk. Whether it be getting the required score or improving your grasp over English language, this is the place for you. The overall atmosphere is conducive for learning and the students here show such undeterred dedication to the cause, it makes it simple for you to learn and improve your English. And add to that a tutor who is willing to put in any amount of effort to ensure you attain your goals; the place is a temple for education. Special praise has to be given to Netto Sir (the tutor mentioned above) for instilling in us the confidence and the know-how of the language. At the end of the course, if you put in an effort and take his advice seriously, your confidence will improve drastically letting you get out of the shell and communicate smoothly in English. I believe my time here was time well spent and will cherish the moments here throughout my life as I believe it has really made my language improve. Thank you sir and thank you Camford, for everything. If you are searching for a key to unlock the IELTS exam, it is right there in front of you. Camford Academy, as the name signifies you can call it a true amalgam of the great Cambridge and Oxford taking into consideration the tips and cues you receive over there in order to crack the exam. Professor Netto who runs the academy is the real kingpin. He is a genius and does his job well, taking pain to individually attend to the needs of the weak candidates, unlike in other coaching centers. The timings are cleverly scheduled so that everyone gets exposed to all the 4 modules every day. The group discussions conducted before the written sessions each day is worthwhile as it helps in eliciting ideas out of the students and also instills the necessary courage & confidence in them to speak openly. Subsequently, they can use these ideas to craft impressive essays which would definitely be worthy of applause. Meanwhile in between you have special classes on how you make your language razor sharp by the prudent use of idioms and phrasal verbs. The speaking sessions are immensely helpful and all students get an opportunity to speak every day. The official website in possession of the academy managed by Professor Netto himself is an ocean of exercises designed to strengthen your vocabulary in addition to the sample essays for your reference which keeps on updating every single day. Verdict: Camford Academy is worth every single penny that you spent for your IELTS and i personally guarantee it. Had a wonderful learning experience in Camford Academy which helped me in securing overall 7 in IELTS. Thanking Netto sir for his exceptional training and guidance. Camford is a center of excellence for nurturing technical guidance in IELTS. You may know English, but Camford decipher it to IELTS score for your dream destination. You made my hope come true with an overall Band score of 7.5. I was able to score 7.5 overall in my IELTS exam held in Trivandrum on the 25th October 2014.The whole credit goes to Netto Sir who was very helpful and motivating. My experience in Camford was fabulous and exciting. I wish all the Camfordians the very best. It was a nice experience in Camford for my IELTS course. The way of teaching is quite amazing. The well arranged course helps to approach the exam in easy manner. I took coaching for IELTS from Camford academy and was awarded with 7 in my IELTS exam held on Dec 20, 2014. I was happy at the individual and interactive sessions that helped me crack my IELTS exam easily. Camford is a great contributor horning linguistic skills and leadership qualities. My tutor Mr. Netto was very helpful and down-to-earth in his approach. Wish you all the best camfordians!!!!! I have attained an overall of 7.5 with 6.5 in writing, 7 in speaking, 7.5 in reading and 8.5 in listening.. Thank you Camford…. The coaching provided at Camford helped in honing my skills which thereby resulted in me scoring an overall 7.5, individually - Listening 8.5, Reading 7.5, Writing 7 and speaking 7. To mention the methods adopted at the institute are highly commendable and the training instills oneself with the right amount of confidence to face the exam head on. I thank the tutor Netto. My learnig experience in Camford Academy was really enthusiastic as well as informative.Within a short span of time, I was able to score an overall band of 7.5, with the individual scores of 7 each for writnig and speaking; 7.5 for listenig; and 8 for reading. Netto sir was really helpful , supportive and encouraging. The speaking sessions were so good that I was able to get rid of my stage fear and was able to improve my communication skills. My experience with the institute and camfodians is a wonderful treasure that could be kept in mind through out my life. I scored 7 in my ielts exam held at Kottayam. I am proud to have been associated with Camford and trained by Mr.Netto. The ielts training done at Camford helped me score 7 in my ielts exam and improved my language capability as well. I got an IELTS score of 8 and in reading -9,listening 8, speaking-7, and writing 7 individually, in the exam held on July 19th, all because of the up to date teaching materials and excellent methodology adopted by the tutors at Camford. The environment at Camford was very competitive and motivating, which not only improved my English but also gave me the confidence needed to face such a competitive exam. I would undoubtedly recommend Camford academy to those aspiring to clear the ielts exam. I am anitha from waynad, manathavady . I am proud to convey my sincere thanks to Mr. Netto, the director of Camford and the tutors for having helped me to achieve a great success of 7band score in my IELTS exam held at Trivandrum in July 19 2014. Both the support and competitive atmosphere at Camford really made me self confident to succeed in my IELTS exam. Wish you success all camfodians. I scored 7.5 in my IELTS exam held in Trivandrum. This score would not have been materialized had I not taken the coaching from Camford. Thanks a ton for camford faculty. I am greateful to Mr. Netto for allowing me to take the crash course during weekends which was suiting my requirement and also for providing instructions and tips which helped me in scoring overall 7.5 in IELTS exam. The practice sessions for all the modules were so helpful improving confidence for attending exam. I did a one week crash course for my IELTS general test with camford academy under the guidance of netto sir . Within a short time span, I was able to understand the exam format and the key areas which have to be taken care of while writing IELTS. There were lots of practice sections which helped me to plan and gain time management, which is very essential for getting good score. I got an overall score of7.5 and I extremely thankful to netto sir for the fabulous grooming. First up all I would like to thank Mr. netto and the camford tutors who helped me to achieve an impressive score of 7 in IELTS exam. I will strongly suggest camford academy to anyone who would aspire to achieve excellent score in my exam. I am taking this opportunity to thank everyone who had helped me to achieve my score. I am very glad that I have chosen the best training institute for IELTS and I would secure an overall 7 for it. Camfodians receive coaching from the best trainers who are very friendly and knowledgeable in all he Academy to avail the best training. I am very thankful to Mr. netto and team for my success. First up all I would like to thank Mr. netto sir for his excellent and unique way of coaching. His classes were really helpful in bringing out the best in me especially in writing. My gratitude to chandrika mom and Hina mom for their support. I can undoubtedly say that it is because of this outstanding coaching of camford academy I was able to secure a decent overall band score of7 in writing. I wish all the very best to camfordians. I was able to gain an overall score of 7.5 for the ielts exam. The score was achieved just because of the training sessions underwent at camford academy by the supervision of our dear netto sir. I gained confidence through each sessions and effectively used all the tips provided by our faculty. I would like to express my sincere thanks to Mr. netto for helping to achieve score in IELTS 2014. I got overall 7.5 band in academic with listening8, writing 7, reading 8, and speaking 7.5, The mock test conducted every day is really helpful evaluating yourself and further improvement with better efforts. I would like to thank netto sir who helped me to achieve7.5 in exam. Camfodians get a individualized guidance which facilitates most of them achieve the best. The teachers in the institute are always ready to help us. The classes are very useful in developing our confidence as well. I would recommend camford academy for those who wants to geet high score in IELTS . I am proud to be a camfordian. Camford helped me to achieve overall 7 band score with a remarkable band score of 8 for speaking in IELTS held on 26/07/14. I am really happy that I joined in Camford. I really recommend camford for people who want to achieve good ielts score. Structured pedagogy adopted by netto sir at camford academy helped in scoring band 7 for IELTS . Classes are really interesting. Also essays written by sir is very good reference for IELS writing. Efforts put in by sir in shaping every student for IELS is really laudable. Thanking you sir and your team for making my IELTS dream come true. I scored an overall 7.5 in the ielts exam of july 26, in which 8 was for reading and listening , 7.5 for speaking and 7 for speaking and 7 for writing. My experience in the academy was wonderful, and the fabulous faculty of camford academy helped me score the required band score. I had a wonderful experience with netto sir and camfodians during my training at camford academy. Though I attended session of only two weeks, I was able to score 7.5 average for the ielts exam. My experience with camford not only benefited me to do well in ielts but also in developing my communication skills and also helped me how to tackle the reading exercise in other competitive examinations. I should also mention the excellent guide and support which enriched me from other faculties of camford academy throughout my preparation. I strongly recommend recommend camford academy for your ielts and spoken English training. I got overall 7.5 in ielts exam which was held on 21st june 2014. I got such a good mark only because of netto sir and his unique teaching methods. Environment inside camford academy helps me to prepare well for this exam. Exposure I got from camford was awesome. It helped me in scoring 7.5. Fun filled methodology of teaching adopted by netto sir is very interesting and it helps in recollecting the points taught in class room sessions while doing the exam preparation . My foremost recommendation for any ielts aspirant in camford. Camford Academy is the elite training center for IELTS in Trivandrum. I achieved a band score of 8 in IELTS exam held on 17 may 2014. The unique and fun filled learning experience in camford academy helped me to tackle IELTS and developed my language skills. Thanks to my tutor netto sir for being there to support and correct me through out my course period and giving me the best learning experience of my life. I strongly recommend camford academy for IELTS coaching. The best IELTS center in Trivandrum. I scored 7.5 in my exam in may 10th 2014 held in kochi. Netto sir helped me a lot in developing my language. The listening test conducted here helps a lot in scoring 9/9 in my exam. The coaching by netto sir at camford academy helped me to achieve the band score of 7. Camford is definitely the perfect place for any IELTS aspirants. The training in camford academy would not only improve ones language skills but also boosts confidence to face the exam. Thanks a lot netto sir for making the learning really fun filled. My experience with Camford is something I would like to cherish in mind for ever. The learning process through which I have gone through at Camford Academy helped me to achieve a band score of 7.5 in my exam; with a score of perfect 9 in reading. I would like to add that the way of teaching of Netto Sir is truly appreciable. Within a limited time span of one week, he made it possible for me to clear my exam with good marks in all sections. He motivated me by his inspirational words and helped me to have confidence in writing the exam. Many thanks to Netto Sir for helping me to achieve an IELTS score of 8.5. When I joined Camford, I was quite apprehensive as to whether I would be able to a score of 7, since I had difficulty communicating fluently in English despite my fairly good English schooling. Since I am employed, I also told Netto Sir that I would not be able to attend classes regularly. However, Sir was very supportive & I was able to follow the classes at my own leisure. The speaking sessions were fantastic and the experience has reduced off my stage fear to great extent. The classes were enjoyable yet instructive. All in all, the experience is something which I will treasure in the years to come. I'm very thankful to my tutor Mr Netto who has helped me a lot in turning up my fortune.His way of teaching is awesome. He is friendly with everyone ,what to say more! i never felt that i was in a strange situation as we always had good interactive session.I still remember my first class for which i had to pay a penalty for speaking in my native tongue,I was very upset but later i understood what made camford special from other institutions.If someone is telling me about their plan to join IELTS I would definitely suggest camford coz its one of the best institutions to fulfill your dreams.....Thank You Netto sir and your entire team for nurturing me as to get a score of 7 in Ielts academic exam. My requirement was to get a general outline and a quick preparation for the IELTS exam and I found the right place and right preparation with CAMFORD ACADEMY.The preparation materials were up to the mark and Netto sir's instructions and guidance helped me score 7.5 and above for all modules . I feel so glad to say that joining camford academy for IELTS training is one of the best decisions that I have ever taken. Netto sir, who is the director as well as the main tuitor of this institute has actually changed my attitude towards English language, which now, is more interesting and exciting. I used to spend more than 6hours in the institute and have never felt the classes boring or tiring. He is the most approachable, friendly and sensible English teacher I have ever had. I could score a band score of 8 in the IELTS academic module, held in April 13,2013 and I owe Netto sir a lot for this success. The hours that I spend at camford will remain evergreen and I value them a lot.I here by express my sincere thanks to Netto sir and all my fellow-camfordians....Thanks a ton!!!!!!!!!!!! Myself, NIKHIL PILLAI-a product from CAMFORD ACADEMY, scored an overall band score of 8. Camford academy is the only coaching center in whole of Trivandrum where you can completely rely on for IELTS. Every-day the academy makes sure each and every student gets a practice in all the four sections i.e READING, WRITING, LISTENING AND SPEAKING. By the end of your course Mr. NETTO, director of camford trains you specially in writing and speaking in such a way that every student gets the exposure in every possible way. Also, to mention the other faculties too play a major role in building your writing and reading skills. As your examination gets closer each and every student is assessed properly and given as many as mock tests which helps us to face the examination with no tension. I am really happy that I choose camford academy . its my pleasure to say about my experience at camford. IELTS classes at camford academy gave me an awsome experience . netto sir ,you really shapes the minds of the students and their future. He works hard to make a huge difference in his students academic or proffesional life.Students of camford never get bored during class hours since Netto sir is one of the greatest friends of students. Thanks to netto sir ,for your kind support and prayers with which i could get an overall band score 7 . Frankly speaking, it was a mind blowing experience for me.The way of training provided by Mr.Netto-Director of Camford Academy can’t be described in few words because it is so unique and encouraging. He is just like a candle burning always to give the light for the people surrounding it. Moreover, he tries to maintain an atmosphere of humour while teaching so that the classes wont be boring and we can actively take part in each sessions without any hindrance. The way in which classes are conducted is very simple which helps each and every student joining in the Camford Academy to grab the basics of English in a relaxed manner. So, I wholeheartedly express my gratitude to Netto Sir and staffs of Camford who helped me to get a band score 7.5 in IELTS. I scored a fantastic 7.5 in ielts academic . Thanks to Netto sir and his team.